Different Ways To See And Be: The Lives Of Joseph Jarman And Alvin Fielder The deaths of two foundational members of the Association for the Advancement of Creative Musicians, a forward-thinking Chicago jazz collective, offers a chance to reflect on its evolving impact. Joseph Jarman, performing in 1970. Two deaths in early January, of percussionist Alvin Fielder and multi-instrumentalist/poet/dramaturge Joseph Jarman, help remind us that artists' lives shouldn't be summarized by their documented works alone. Both men made signature contributions to the freedoms and complications that have enriched what we know as jazz, starting more than 50 years ago as founding members of the Association for the Advancement of Creative Musicians (AACM). That organization, born in Chicago in 1965, aggregated a generation of individuals who challenged assumed aesthetic or entrepreneurial limits on their activities. Its members, such as the late Muhal Richard Abrams and still prolific Henry Threadgill, Anthony Braxton and Wadada Leo Smith, have earned major awards and academic positions, institutionalizing their innovations. That neither Fielder nor Jarman gained (or pursued) such goals doesn't mean what they did musically was of less importance – merely that they had other interests at which they also excelled. Their legacies deserve recognition and celebration, the same as if they'd been named MacArthur Fellows or NEA Jazz Masters, awarded Pulitzer Prizes or appointed as tenured faculty. The AACM first came together as a musicians' support group, growing out of a Monday night Experimental Band that let musicians hear original compositions for which no commercial bookings were likely. Besides convening like-minded players who collaboratively and competitively nurtured each other, the AACM produced concerts — at which members were expected to serve as staff when not performing — and ran a community-based school that exposed students to new ideas as well as conventional grounding. At the time of the AACM's formation, jazz was being advanced by a coterie, based mostly in New York City, enthralled with Miles Davis, John Coltrane, Ornette Coleman, Cecil Taylor and Albert Ayler. This new generation had thrown off blues and bebop formulas — involving cyclical chord changes and (usually) steady rhythms — in favor of long, ferociously energetic, unfettered improvisations that channeled resistance, if not outrage, related to the struggles of the Civil Rights and anti-war movements. The Chicagoans of the AACM revered those innovators, but took a different tack. They re-emphasized the potential of composition beyond jazz, rock and pop's generic song forms to frame and balance hard-blowing solo freestyling, introducing unique structures and their own personal vocabularies along the way. Fielder, 83 when he succumbed to congestive heart failure, pneumonia and a stroke on Jan. 5, was among the earliest "free jazz" drummers, having performed with Sun Ra in Chicago in the late 1950s and recording on Roscoe Mitchell's seminal Delmark album Sound – the first record that featured AACM musicians – in 1966. Fielder invented his approach to that work without any obvious precedent, and although some of the music was written, he did not have a drum score. Mitchell's debut comprised twisted, collage-like compositions employing a profoundly wide dynamic range that relied on no discernible meter but held a tense through-line with implicit momentum. Fielder operated mostly as a colorist, juxtaposing a crescendo on a gong, for instance, with a single scrape of a güiro. Recorded so that his subtlest stick strokes had the presence of an all-out barrage, Fielder made a radical departure from the polyrhythmic waves of the era's drum masters such as Elvin Jones, Tony Williams and Art Blakey, or splashy iconoclasts like Rashied Ali and Sunny Murray. Akin to many of his AACM peers, Fielder took an intellectual or investigatory, but nonetheless playful, stance towards the raw materials of music. He was a fine timekeeper when need be, grounded in R&B and bebop. And he could swing. As he told George Lewis in the book A Power Stronger Than Itself: The AACM and American Experimental Music: "I wanted to play my bebop as loose as possible and I wanted to play my free music as tight as possible," meaning that he opened consistent beats to myriad possibilities, but when presented with an undefined field, brought focused powers of selection to bear. I recall seeing him perform in the late '60s at a sparsely attended Sunday brunch concert at the AFAM Gallery on Chicago's South Side, prodding his trio-mates, the trombonist Lester Lashley and tenor saxophonist Fred Anderson, with emphatic swipes at his drums punctuating suspenseful silences. But the drummer's most enduring legacy may turn out to be the communitarian principles derived from his AACM experience. Fielder departed Chicago in the fall of 1968 for his hometown of Meridian, Miss. in order to manage his family's string of pharmacies and to engage in political activism. There, Fielder joined with bassist and promoter John Reese in 1971 to launch the Black Arts Music Society (BAMS) with the mission of bringing new music to the region. Singer Cassandra Wilson was one area talent encouraged by Fielder, Reese and BAMS' productions — to the extent that she and childhood friend Rhonda Richmond, a violinist, opened The Yellow Scarf listening room in 2012 in Jackson, Miss. to feature similar artists. By the 1980s, Fielder was in contact with trumpeter Dennis Gonsález, whose Dallas Association for Avant-Garde and Neo-Impressionist Music (daagnim) was modeled on the AACM. And so his message – the AACM message – spread. Joseph Jarman is probably best known as the face-painted shaman of the Art Ensemble of Chicago, who introduced its performances by flicking a feathered whisk and intoning the band's motto, "Great Black Music, Ancient to the Future." (He remains under-sung as a composer, having contributed stellar tunes such as "Dreaming of the Masters," "Ohnedaruth" and "Old Time Southside Street Dance" to their book.) Jarman brought ritual, theatricality and poetry to the Ensemble, so much so that his virtuosity as an instrumentalist has been overlooked. After studying drums in high school with the renowned Captain Walter Dyett, Jarman honed his skills on saxes and clarinet in the U.S. Army's 11th Airborne Division Band, and eventually took up flutes, vibes, whistles, percussion instruments. The bold, dark themes supported by staunch fellow horn players and thunderous drumming on Jarman's debut album Song For, released by Delmark shortly after his friend and colleague Mitchell's Sound, was catnip to my teenage ears. 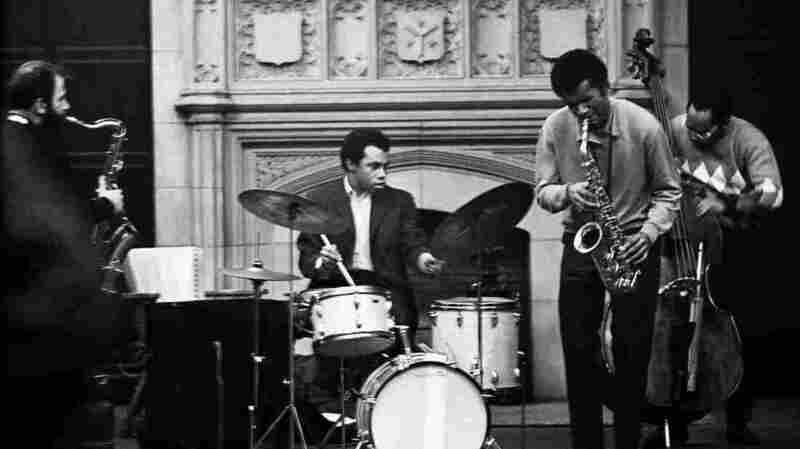 At his own late-'60s performance around the University of Chicago, he proved to be a frenetic sopranino and soprano saxist, a penetrating alto player and powerful tenorist, also excelling on lower register horns – but even more, a captivating performer with a sure sense of pace and drama. Soon integrated into the Art Ensemble that Roscoe Mitchell had established, Jarman set the stage for the band — the most cohesive and ambitious to emerge from the larger AACM, the first to leave town for Europe, and the most successful at appealing to general audiences — to present itself as an act. The musicians turned to the east (Mecca) before playing a first note. 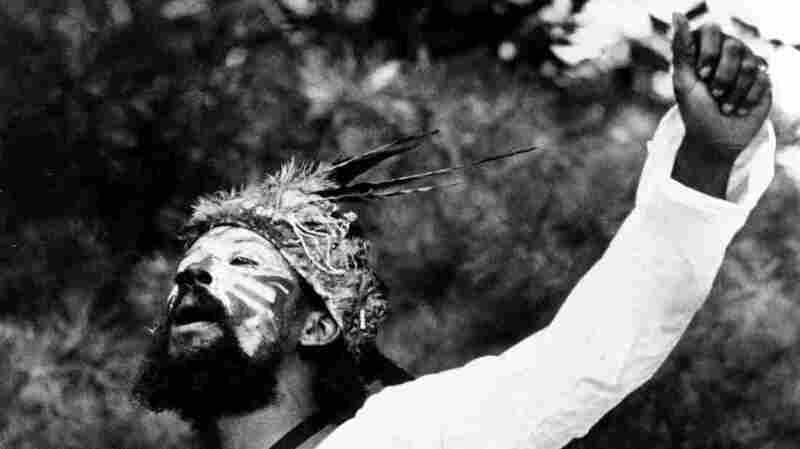 They wore costumes: Lester Bowie a white lab coat, bassist Malachi Favors, drummer Don Moyé and Jarman in mask-like makeup, Mitchell in deceptively plain garb. Their sets were not construed as sequences of songs but rather narrative arcs that included stretches of detailed "little instrument" tinkering, entirely new to the art form. That diffused use of chimes, vibes, squeeze toys, megaphones, conch shells and synthesizers encouraged listeners to lean in and magnified the players' intensity when they eventually broke loose. Few if any other of the Creative Musicians conceived of their performances as benefitting from or requiring theatrical trappings, but Jarman's concepts gave audiences who might have spurned jagged melodies, dissonance or distant harmonies and implied-rather-than-explicit rhythms something like a tangible plot to follow. His intellectualism, artistic inclusivity and melding of a historical perspective with musical spontaneity infused the AACM philosophy of individualistic originality aligned with collective or community concerns. His sensibility guided his immediate circle, informed subsequent generation of performing composer-improvisers and gratified those of us in their audiences, too. Over five decades, the AACM has become model to other grassroots musical collectives, as well as attracting and promoting new artists who sustain and augment its directions and remit. Flutist Nicole Mitchell, drummer Mike Reed and cellist Tomeka Reid, in their Artifacts Trio, cover AACM members' enduring compositions. Muhal's widow Peggy Abrams and their daughter Richarda, along with keyboardist Amina Claudine Myers (another founding member) continue the AACM concert series in New York City. In Chicago, Dee Alexander, Mwata Bowden, Ari Brown, Ernest Dawkins and Kahil El Zabar are now the older guard drawing such up-and-comers as singer Saalik Ziyad, spoken-word artist Khari B and trumpeter Corey Wilkes into the fold. On Jan. 20 Chamber Music America will present the AACM with its Richard J. Bogomolny National Service Award. ECM Records has celebrated the 50th anniversary of the Art Ensemble of Chicago by releasing a 21-disc boxed set of their recordings, mostly from the 1980s, and "associated ensembles" including those of Jack DeJohnette and Evan Parker. This spring, Pi Records will release Roscoe Mitchell's own celebration of that anniversary, with AEC drummer Moyé amongst a cast of dozens. Nicole Mitchell has just been appointed to the newly established William S. Dietrich II Endowed Chair in Jazz Studies at University of Pittsburgh, directing a program previously led by the late pianist Geri Allen. Drummer Thurman Barker teaches composition at Bard College. Anthony Braxton is happily retired from his longtime academic post at Wesleyan University. Pulitzer Prize-winning composer Threadgill is being feted with a two-day retrospective of his 40-year career, involving 24 local musicians, at the Walker Art Center in Minneapolis on Feb. 15 and 16. Alvin Fielder's experiments beyond strict rhythms and Joseph Jarman's poetics including the Art Ensemble watchwords "Ancient to the Future" are concepts with consequences beyond the groups they played in, or the AACM. Their ideas, manifest, have continued to be generative. Each individual will pass on, and while we're saddened by the demise of Alvin Fielder and Joseph Jarman, we've been enriched by their accomplishments in the course of their long, productive lives. Their personal, particular sounds may be subsumed in the greater aggregate to which they belonged, but if we know what to listen for, their distinctive music echoes on.